If you’re looking for a little more space to spread out, Renaissance is just what you’re looking for. 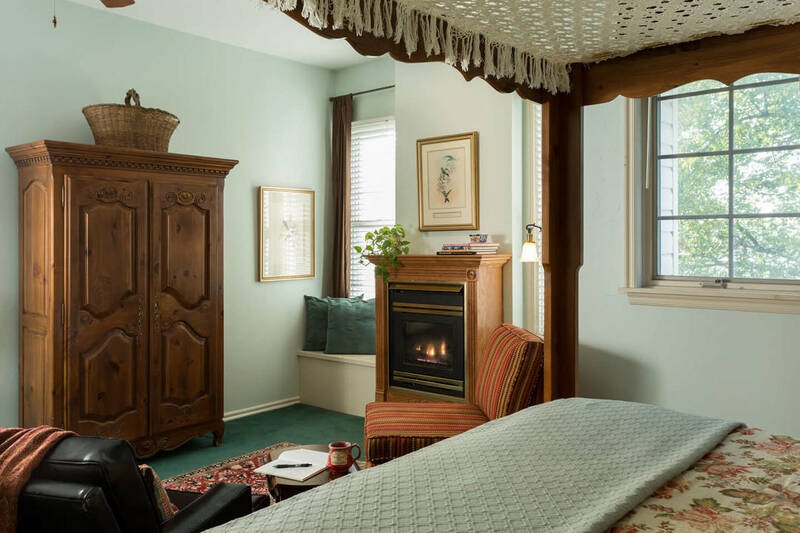 The comfy chairs and luxurious king-size canopy bed in this upstairs room will help you relax and rest in no time. You don’t want to miss the homemade apple cider and cookies each evening, which you can enjoy curled up next to the fireplace. Or grab a book and enjoy some time in one of the two window seats. Also includes a private bathroom and shower-tub combo. 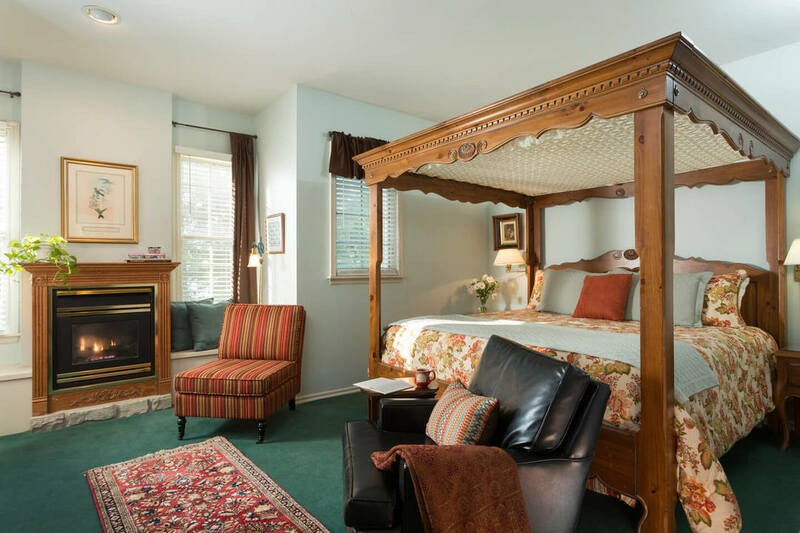 This room is located on the 2nd floor of the Montford Inn.